We have taken time to ensure our support packages include all the support you require based on your business needs and budget. Our Proactive Monitoring technology enables us to see potential problems before they occur and are able to detrimentally impact your business. With our custom pre-emptive measures in place we can fix a problem before you even knew you had it, as opposed to reacting to a problem you report, bringing any potential downtime / impact to a minimum. With over 30 years of experience, we have developed our own preventative maintenance procedures. Our monitoring software allows us to perform regular preventative maintenance on your workstations and servers keeping them in optimum condition and reducing the risk of downtime. Partnering with us is like having your own IT department. By becoming part of your team you have access to our vast knowledge and experience within the IT industry safe in the knowledge that when something does go wrong you can call your IT department.  At Shadow Support, we understand the importance of getting to know you and your business. By doing so we can offer you the best advice and support to help you succeed and grow. We're always on hand to efficiently respond to your requests and fix problems with your IT systems, but we also offer a lot more value to your business. When you partner with us you have access to our vast range of knowledge ensuring you utilise the latest technology available presently, and in the future. Our support packages have been carefully designed so they offer varying levels of support depending on your business requirements and budget. We focus on maintaining your employees productivity by improving the reliability and efficiency of your IT systems. We have invested in sophisticated tools and developed custom processes to help protect your data, keep your IT systems reliable and your employees productive. Our strong commitment to preventative maintenance is a big reason why we stand apart from our competitors. Reliability of servers and workstations is detrimental to the success of your business. Reducing the possibility of hardware failures or software errors keeps your IT equipment reliable and your staff productive. Each device that is to be monitored has a tiny piece of software installed on it. It is so small it has no impact on performance and the user wouldn't even know it is there. It runs silently in the background constantly checking for signs of potential problems or anything that may have a detrimental affect on the equipment being monitored. As soon as an alert is raised, often before there are any signs it exists, our monitoring software will send an alert to a technician and if possible attempt to rectify it. E.g. if a hard drive is running out of space it will free space by deleting temporary files. We have developed a custom set of monitors gathered from over 30 years of experience within the IT industry. This includes device status (online/offline), system performance (CPU usage, RAM usage, hard drive usage), security status (antivirus, firewall), backup status, update status. Our monitoring software is flexible and customisable as it can monitor pretty much anything. E.g if your business relies on custom software to be running constantly, we can set a monitor that alerts us if the software isn't running and it will attempt to restart it automatically. By detecting potential problems as soon as possible, we can maximise the uptime of your servers and workstations. Our monitoring software doesn't stop when you go home, it is constantly checking 24/7/365, so we are made aware of any problems as soon as possible. Pre-emptive monitoring looks for potential problems before they happen (ShadowSupport+ and ShadowResponse only). Hardware failure can happen at any time, but there are certain indications that can be monitored so the item that is failing can be replaced before it does. Preventative maintenance is where regular scheduled maintenance is performed on your IT equipment to keep them in optimum condition to lessen the chances of it failing. The majority of maintenance we perform is done remotely through our monitoring software. To reduce any disruption to your staff, maintenance is usually performed after working hours or when the device is not in use. Maintenance can be scheduled to run hourly, daily, weekly, monthly, annually or whenever is required depending on how the equipment is used. For maintenance that cannot be done remotely, a technician will be scheduled to visit you onsite. With over 30 years of experience in IT we have developed custom maintenance procedures to help maintain your IT systems. This includes hard drive defragging, Removal of temporary files, Windows updates, Antivirus updates, Remove dust from fans/heatsinks/vents. By performing regular maintenance we minimise the risk of downtime caused by failures or errors. The whole purpose of preventative maintenance is to keep systems stable and reliable. Prevent failures and errors before they happen. Keeping servers and workstations up to date makes sure they are patched from the latest security threats. Ensure your staff work efficiently and stay productive by making sure the equipment they use is in optmum condition. When something goes wrong and support is needed, the faster it is rectified the less disruption it can cause. Remote support allows a technician to view your screen so they can diagnose the problem, and lets them take control and resolve it, all from our main office. Our monitoring software allows a technician to directly view and connect to supported machines within a few clicks. Once a support request is raised by phone, email or through our web support portal, a technician will respond and arrange a remote support session. The user doesn't have to do anything and they can either sit and watch in amazement, or go make a coffee. Although there are certain situations that require a technician to visit, the majority of problems can be rectified remotely. This means there is no waiting around for someone to turn up. If you are on a business trip in Australia and you need support, as long as you have an internet connection, remote support can be provided. Remote support can also be used for other every day tasks such as adding new users and installing software. Remote support allows us to quickly and efficiently diagnose and rectify problems maximising uptime of your systems. There is no need to wait for a technician to drive to you, one can connect to you in seconds. Once a remote support session is arranged, you don't have to do anything. Even if the machine is turned off we can remotely switch it back on. As long as you can access the internet, we can provide remote support. Remote support can be provided to Windows, Mac or Linux devices. Although the majority of issues can be fixed remotely, there are certain situations such as hardware failure or connectivity issues where a site visit is necessary. When this happens a technician will be sent to you without delay. If you have our ShadowMonitor or ShadowSupport packages, you will benefit from a reduced fee. Both ShadowSupport+ and ShadowResponse include site visits. Site visits are also a great opportunity for us to make sure there are no other problems we aren't aware of, and to ensure you are getting the most from your IT. With over 30 years of experience, there isn't much our technicians can't do. We pride ourselves in giving you a professional service at all times.